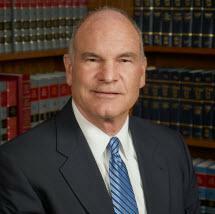 The primary focus of my law practice involves municipal law in addition to estate planning and probate. I have more than thirty-five years’ experience in the preparation and administration of matters ranging from very basic wills to highly sophisticated wealth and family business transfers. I also counsel clients on the formation and operation of closely held businesses, corporations, limited liability companies and partnerships. Such advice involves preparation of shareholder/owner agreements, buy-sell agreements, employment and compensation agreements, and business sales and acquisitions. I currently serve as the Law Director for the City of Westerville and provide counsel to other municipal clients as well on a variety of topics. My wife and I reside in Westerville, Ohio, and have three children. I am a member of the Westerville Sunrise Rotary and involved with many associations and activities within the city of Westerville.